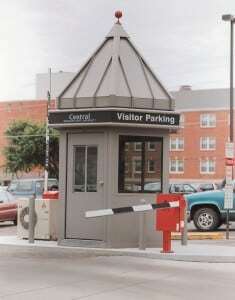 First time visitors appreciate somebody to talk with when they arrive at a facility they are not familiar with. 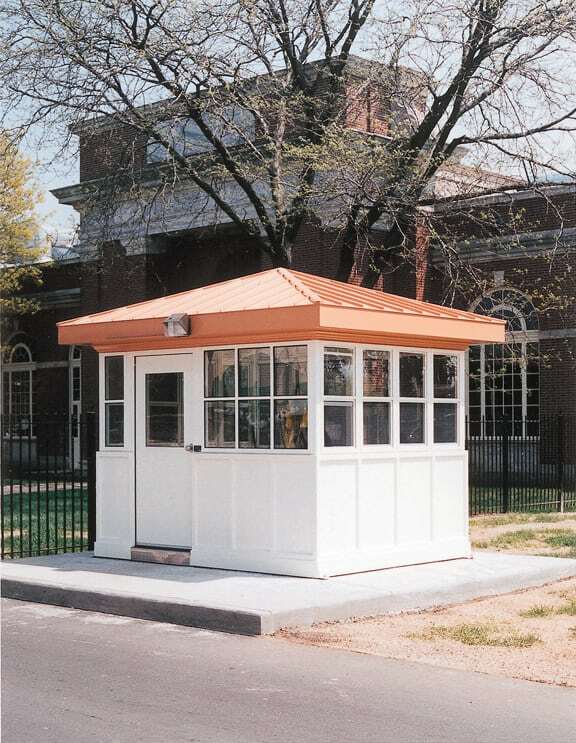 In addition to the positive marketing aspects of a visitor contact station or information booth, the installation of a factory assembled Par-Kut portable steel buildings affords additional security and helps ease traffic congestion. 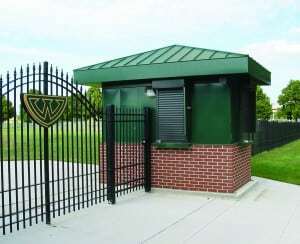 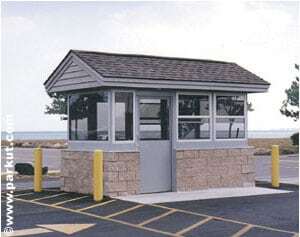 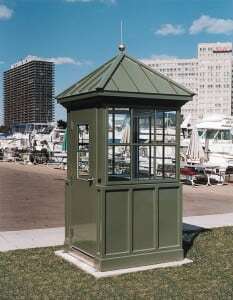 A traffic control booth can include a public restroom as well as a walk in visitor sign in area and separate area and office space for security officer or visitor contact personnel. 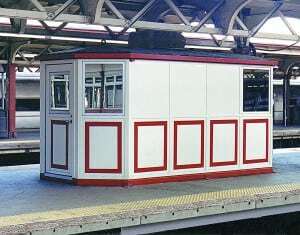 A new information booth typically includes 360 degree visibility which allows the attendant to be seen from a distance as well as allowing the attendant to see everything going on at the location. 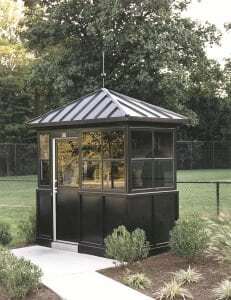 The identity of the organization installing the information booths can be incorporated in the booth design with such simple things as using the same color scheme, inclusion of logos, using same wall treatments as other campus buildings and even roof lines or special tinted glass. 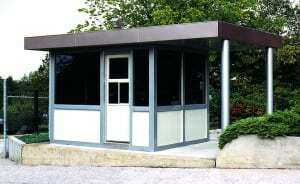 Go to GALLERIES to view additional information booths.